As the whole planet is aware, Prince William, the Duchess of Cambridge and Prince (baby) George have been on an official trip to Australia. Visiting Taronga Zoo and checking out the romance of Ayers Rock, they’ve been taking in all the beauty that our country has to offer. The part that’s got us all excited at Cremorne Point Manor is that the Royal family has been staying at the Admiralty Hotel in Sydney area which is two doors down from our sister hotel, Glenferrie Lodge. If Kirribilli area’s good enough for the Prime Minister’s residence on the same street as the Lodge, then it’s now elevated to a higher Royal ranking. The best part? The Lodge is one of the most affordable hotels in the area, surrounded by a flurry of great restaurants and bars, a short walk to ‘North Sydney’ business offices and a stone’s throw away from the train station. 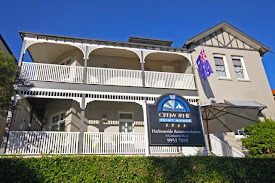 So if you’re in the mood for a really budget worthy hotel that’s just a few train stops to downtown Sydney, then check out the Lodge which is also family and pet friendly. Have you been in Sydney during the Royal trip and been caught in the adrenaline cross fire in the Kirribilli region? The Manor’s a perfect, more upgraded Plan B option for accommodation, as our Lodge has been booked for weeks. This way, you can ferry-ride between hotels and tour the same sights that the Royal family has ventured recently. Need to know more about Cremorne Point Manor for your trip? Then check out our new tour video! It’s only a few minutes of viewing and captures the incredible views of the Harbour from the hotel. You may not be Royalty but with our two hotels at such prime locations, you can certainly feel like you’re in the center of the buzz. Are you having a laugh? Sydney Is! It’s A Different Type of Hoofing Around Carnival!